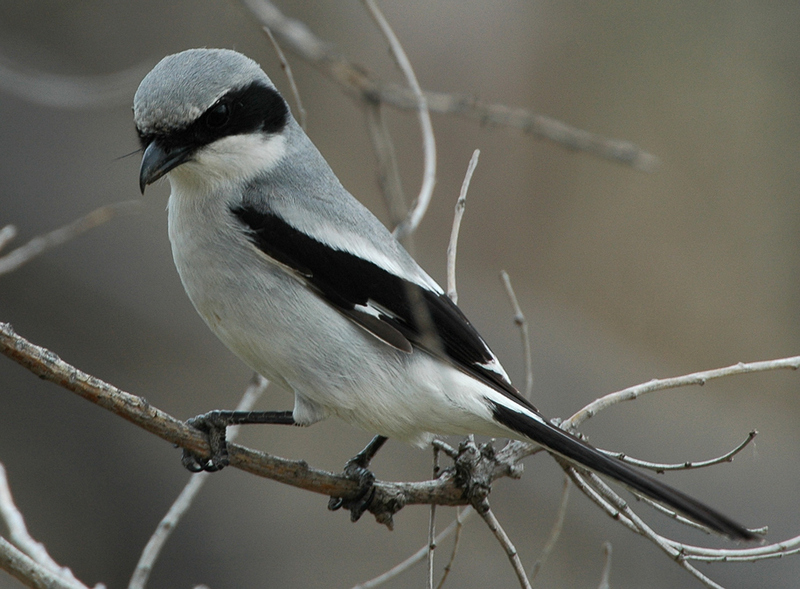 Loggerhead Shrike. Photo by Jeff Jones. Shrikes are medium-sized birds—the Northern Shrike is slightly smaller than an American Robin—and, upon first glance, fairly unassuming. Perhaps you notice the somewhat raptor-like bill; perhaps the extra notch on that bill, the tomial tooth; perhaps not. But it is only because you are much, much bigger than a shrike that you can afford to be so careless of this fearsome predator.